This post is sponsored ad content by McDonald's but the opinions expressed here are my own. Back and bright-eyed from the last campin' trip, I'm itchin' for another. The Texas mountain, the Pineywoods, the colorful canyons always callin' my name. I often get asked how I'm always prepared for my next trip; how I train. Want to take your next hikin' trip but need some help? 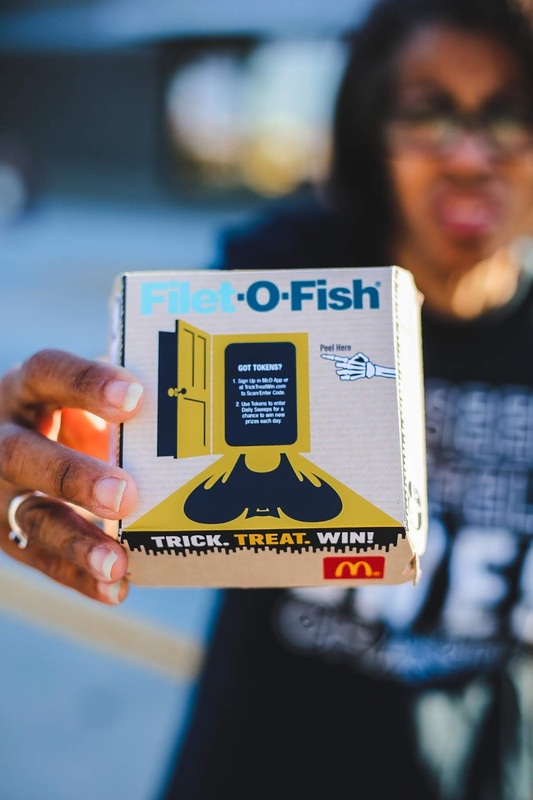 Read more for the four steps: cardio, strength training, snacks at McDonald’s during the Trick. Treat. Win! Game at McDonald’s And addin’ a pack that helps me prepare. Cardio doesn't have to be scary. Cardio means gettin' your heart rate up. We are buildin' endurance and your aerobic capacity so you can hike once a day. Slowly increase your workouts so that you can handle an hour-long session a few times a week. Cardio can be walkin' stairs, findin' a local trail or hill near you. If you start 8-12 weeks before your next big trip that is ideal. The more you prepare, not only will you be better conditioned but you will enjoy your hike more. Remember, we all start somewhere. Progression takes time. No one starts off doin' long hikes overnight even when trainin'. Havin' a strong and stable core is the key to doin' most physical activity in life. A stronger core allows you to have better stability and balance and that is key when hikin' difficult terrain.' You can do these exercises at home in just a few minutes before you start your day. Because of my back, I modify my core exercises, and I prefer things like planks and squats. Start by holidn' a plan for a few seconds a few times a day. As the days increase so should the amount of second that you can hold a plank. My sister always laughs at me because sometimes I'll be in front of the microwave doin' squats as the microwave runs. Five minutes of squats a day helps. This is where McDonald’s comes into my trainin'. When I spent part of this past summer in TN helpin' to take care of my Grandmas, I didn't have time or access to much. Walkin' around the neighborhood when one of my Grandmas went for her daily walk was the extent of the "trainin'" I was able to get. I was also so busy helpin' to take care of them I didn't always have time to cook. Both of my Grandmas swear by the McMuffin and we ate them for breakfast on many a mornin'. 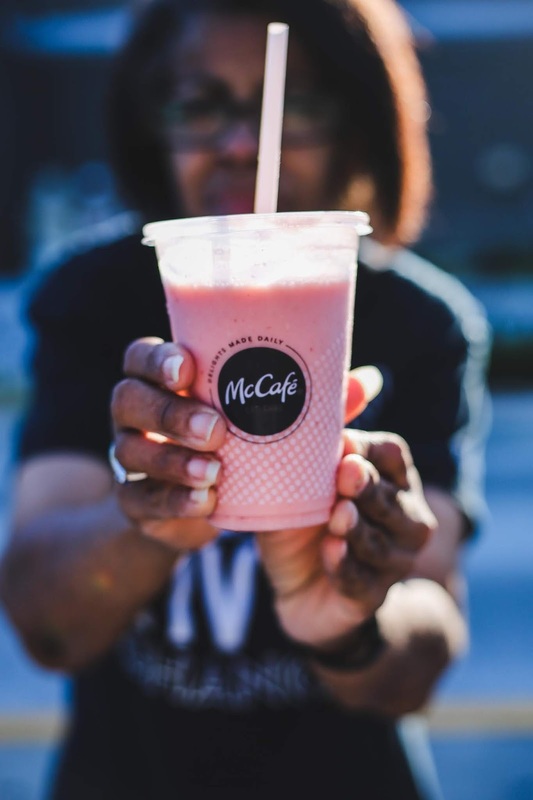 Ever since I have become a massive fan of the new McCafé drinks as well as the Filet-O-Fish. I spend many a mornin' drinkin' the McCafe Strawberry Banana Smoothie and a McCafé Coffee. I hear the McCafe Mango Pineapple is delicious but Y'all know I'm allergic so I'll take my Grandmas word. But, Y'all want to know the best part of addin' the smoothies to my routine: McDonald's has a new Trick. Treat. Win! game that will run from October 5th to October 31st! All you have to do is order select items that are part of the new Trick. Treat. Win! game and you will be able to peel off a game piece or two! 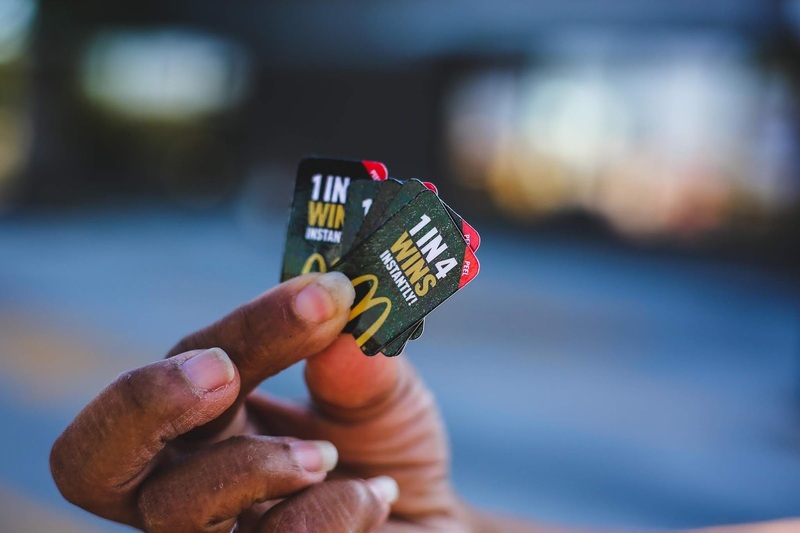 You have a 1 in 4 chance of winning great prizes by playing the game. I’m excited for the Trick. Treat. Win! game to begin at McDonald’s. 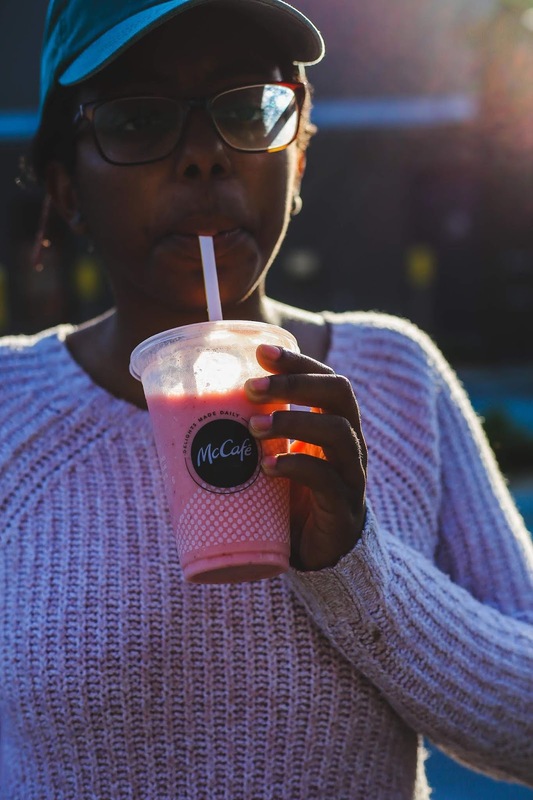 Delicious items like the McCafé Coffee and Smoothies will be on the Trick. Treat. Win! game and I cannot wait to see if I am an instant winner. Who doesn’t want to win prizes because I know I sure do. You've started walking around your neighborhood. You've added a few core exercises to your day, and you've added some tremendously yummy McDonald’s smoothies; now you are ready to add your pack. 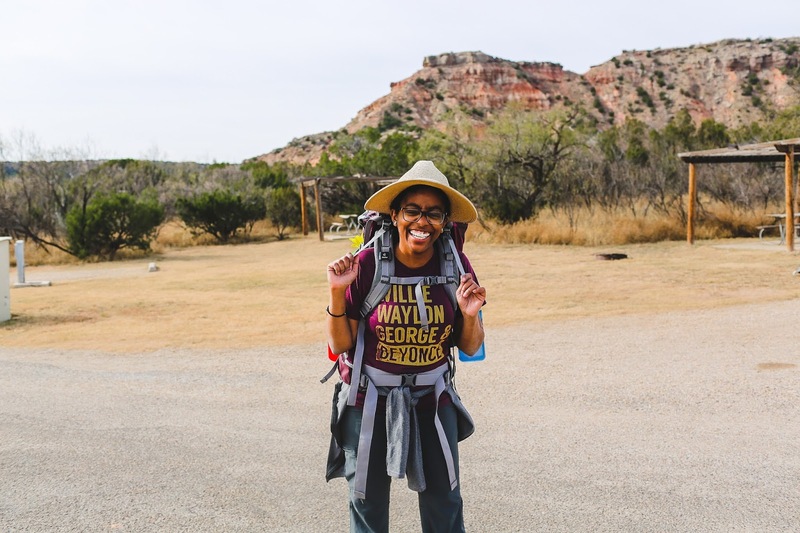 When trainin' you want to do your best to mimic your actual trip like wearin the shoes and socks you plan to hike in to lessen the risk of blisters when you are on the trail. If you are not able to walk around your neighborhood or a local park wearin' the pack, you will be campin' in find a daypack or a backpack. Fill the backpack with weight and walk. Once you have done this for a bit, you are ready to add more extended weekend walks into the mix. Follow these tips to prepare you for your next hike. What's your favorite type of smoothie or coffee? These tips are very useful for the people who would like to make a plan for the next campaign. This boom essay review is useful for the interested people who want to know how this type of plan will work.But when you get well prepared fo the tour,you will find more comfortable during the campaign. 10 tips for camping in the rain.